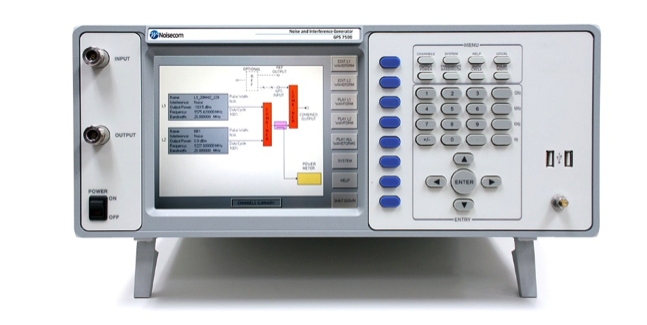 The Noise Com GPS7500 Noise & Interference Generator is capable of generating up to 40 MHz bandwidth of arbitrary waveforms for the test of susceptibility of GPS receivers to jamming, pulsed, CW, noise and any interference which we could imagine. A modular approach provides for expandability with additional independently programmable generators for L1, L2 or L5 bands. This unique combination allows for a single instrument to support today's as well as possible future GPS standards.